What Does it Mean for Cleaning Products to be Natural? Over the years, there has been an increasing demand for natural cleaning solutions. A lot of families nowadays don’t want to take the risk by exposing their children and pets to harsh chemicals found in most over-the-counter cleaning supplies and experts have found many benefits in going “green”. What’s more, switching to natural cleaning products doesn’t mean you have to sacrifice cleanliness. In many cases, the natural alternatives to modern chemicals are just as effective, so you can keep that thorough clean that you love without all the overpowering chemicals and irritating odors found in industrial cleaning supplies. While most green cleaners use their own proprietary blends of natural cleaning products, there are a lot of ways you can make the switch on your own at home. There are some basics natural cleaning products that every home should have. These include white vinegar, natural salt, baking soda, borax, washing soda, hydrogen peroxide, lemons, microfiber cloths, and, of course, plenty of spray bottles. Depending upon which area of the home you’re looking to clean, these basic ingredients can be combined in different ways to maximize effectiveness. For instance, a simple baking soda and water paste can clean ovens remarkably well without any chemical additives. Making the change to microfiber cloths from traditional rags can also make a huge change. 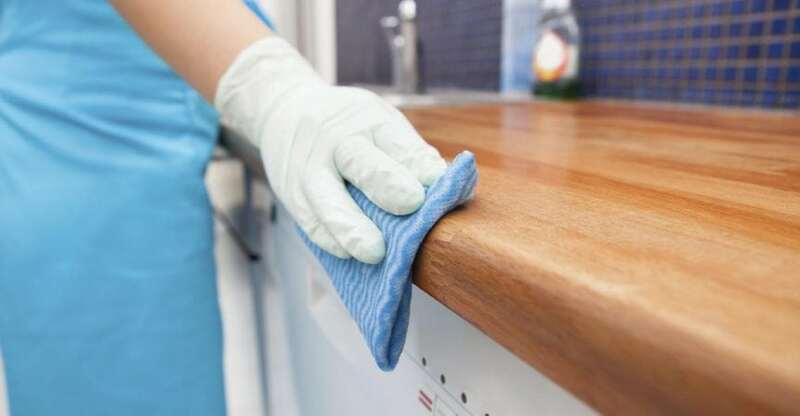 With high-quality antimicrobial microfiber cloths, you can basically clean any surface in your home with just water! For tougher cleaning jobs that can’t be tackled by a microfiber cloth, you can make your own scouring powder. Combine 2 parts baking soda, 1 part salt, and 1 part borax for a cleaning solution which can truly handle just about anything. These are just a few examples, but with the basic ingredients listed above, you’ll never have to rely upon harsh chemical cleaning products again and your home will love you for it.